We make small batch, high quality rums. Many people don't realize there are sipping rums that rival the best Bourbons or Scotches, or that you can make a sophisticated cocktail with a high quality rum. That's where Puget Sound Rum Company comes in. We will make you re-think rum. 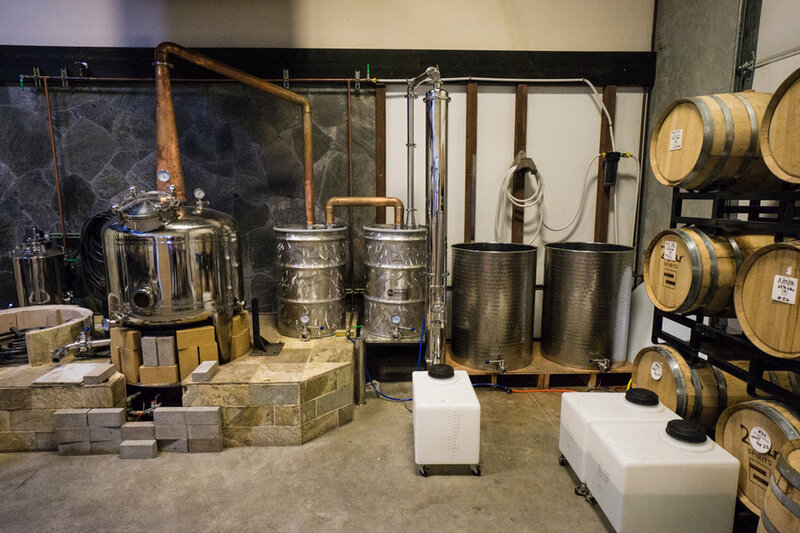 We are the first rum distillery in Woodinville, WA, 30 degrees north of where most conventional rums are made. We use a traditionally styled Jamaican pot still, and use traditional Jamaican rum making methods, but add our own twist. By combining raw materials and techniques from the tropics with the climate and water of the Pacific Northwest, we create unique and flavorful rums. When we started Puget Sound Rum Company, we wanted to do something more than just make spirits - we wanted a purpose behind what we were doing. Unfortunately, owners Tom and Matt both lost a parent to cancer and so we decided to donate a portion of all sales to Fred Hutch Cancer Research Center.. You Drink. We Give. We also don’t just make rum! We release our non-rum products under the Four Leaf Spirits brand - go check out the Four Leaf Spirits page for more info. 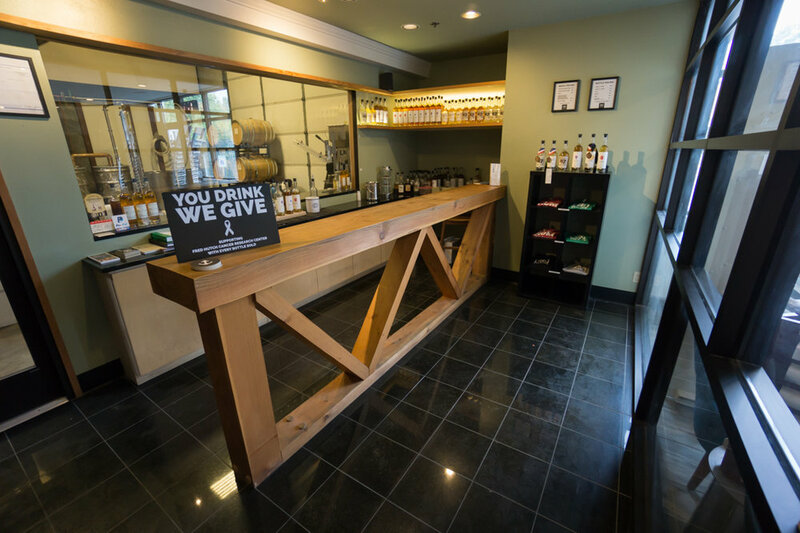 All of our spirits are available for tasting and purchase in our tasting room. 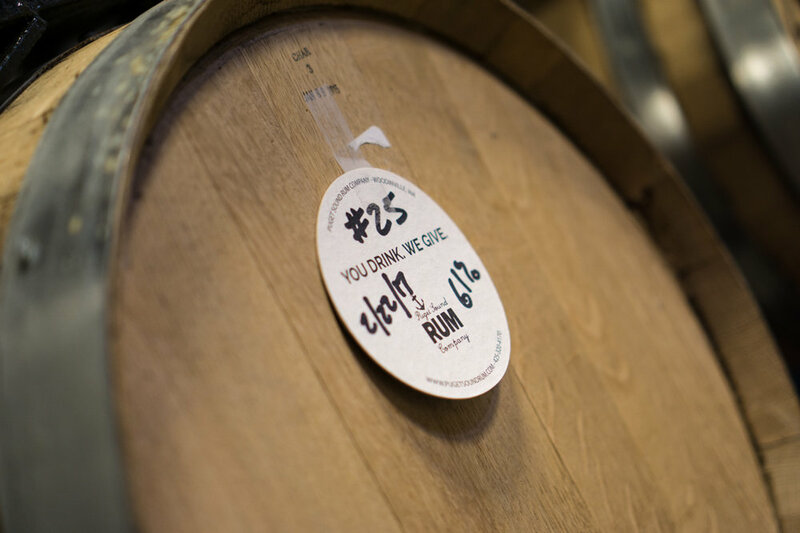 However, if you'd like to arrange a tour of our distillery or a product tasting outside of those hours, please contact us at info@pugetsoundrum.com or call (425) 320-4170. Rum is distilled from the fermentation of sugar cane or sugar cane byproducts - essentially any cane juice derivative, ranging from fresh pressed cane juice to various grades of molasses. Part of what makes rum an interesting spirit category is that there is a lot of variety. Depending on the raw materials used, fermenting style, still type, and whether the spirit is aged or not - you can get huge differences in flavor profiles. Unlike scotches, tequilas, or bourbons, here in the US there aren't really any other rules other than it has to be cane based. (Other countries do have more specific categorizations and rules on rum, though). In the US, it can be aged in new casks, used bourbon or wine casks, or left completely unaged. Each raw material, each aging strategy and each blend can give such a wide variety of characteristics. Rum can be highly distilled, and have a lighter flavor or character, or can be minimally distilled, giving a full bodied, or heavier rum.